Carlos Rodón is an American professional Baseball player who plays in the Major League Baseball (MLB). As of 2019, Carlos Rodón currently plays for the Chicago White Sox as their Pitcher. Additionally, he was drafted in the first round of the Major League Baseball Draft in 2014 by the Chicago White Sox. As a Pitcher, Carlos Rodón reportedly earns around $4,200,000 as his yearly salary from Chicago White Sox. Further, Carlos Rodón has an estimated net worth of over $5 million. According to the sources, Carlos Rodón is married to his beautiful wife Ashley Paddock. The couple tied a knot on January 6, 2018, in Playa Conchal, Costa Rica and recently celebrated their one year anniversary. Exploring his social account, he announced in January 2019 that he and his wife are expecting a baby in next year i.e in 2020. Further, the couple seems to be excited to start a new chapter of their life. Despite the busy schedule, Carlos Rodón spends quality time with his love and family. He is spending a lot of time with his spouse cause she is pregnant with their baby girl. Further, Carlos Rodón and his wife both are adventurous so they are spotted at different places doing something challenging. Rodon was rumored to be dating his ex-girlfriend Keely Warren previously. Keely is a cheerleader at East Carolina. Ashley is the wife of a famous Baseball Player, Carlos Rondon. Exploring her social account, she seems to be an adventurous person. 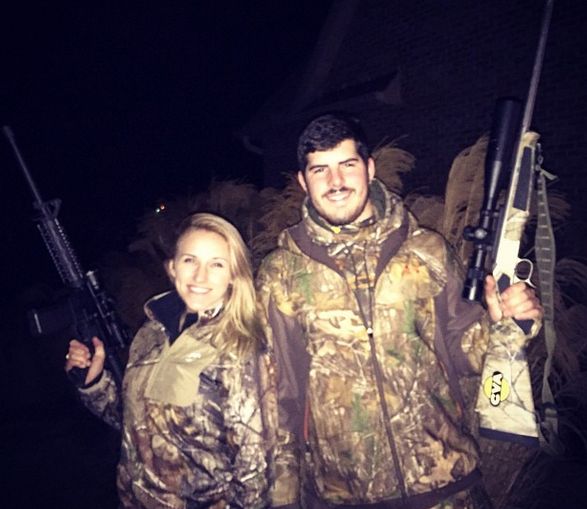 Reportedly, the girlfriend of Carlos may be employed by Open Season TV, a channel about hunting. Apart from this information, there aren't any further details about Ashley in the media yet. Besides that, talking about his body measurement, The Famous MLB star is 1.91m (6 feet 2 inch) in height and weighs around 107 kg (235 lbs). Due to his charming personality, he has a huge number of followers in social media as well as in real life. He has almost 20.5k followers on Twitter but he is yet to be found on Instagram. Carlos Rodon's Salary; How Much Is His Net Worth in 2019? Carlos Rodón has an estimated net worth of over $5 million and earns an annual salary of $4.2 million in 2019. He reportedly signed a 1 year $4.2 million contract with Chicago White Sox on January 11, 2019. The MLB player has an average salary of $4,200,000 annually. Carlos Rodón so far has made earnings of $10,463,128 from his entire MLB career. Rodon will earn a $4,200,000 as a base salary in 2019 while carrying a $4,200,000 total salary. As per the reports, he is the 9th best player of Chicago White Sox which is greater than his teammate Lucas Giolito's salary. Moreover, he is 267th best-paid player of MLB in 2019 while Stephen Strasburg is the highest paid player with a salary of $38,333,334 in 2019. In addition, there isn't any information about his endorsement deals in the media yet. However, it is obvious that the player with such a reputation enjoys a significant amount of money from the association with different brands. Carlos Rodón was born on December 10, 1992, in Miami, Florida to parents Carlos Rodon Sr. and Julie Rodon. As per his nationality, he is American and belongs to the White ethnic group. Further, his star sign is Sagittarius. In Holly Springs, North Carolina, Carlos Rodón attended Holly Springs High School. He threw a no-hitter, two one-hitters, and four shutouts during his junior year in 2010. He was drafted in the first round of the Major League Baseball Draft in 2014 by the Chicago White Sox. He signed on July 11 with the White Sox. On July 22, he made his pro debut with the White Sox of the Arizona League. Rodón was called to the roster of the Sox Major League on April 20, 2015. He pitched 2.1 innings, gave up 2 runs, walked 3 batters, and hit Lonnie Chisenhall for his first strikeout in the Major League.